It’s easy to look at yoga and to think of it as a waste of time. After all, if you’re going to spend your time on exercise, then you probably want it to be as effective as possible for weight loss and/or muscle building. While holding yoga poses can be challenging, it’s hardly enough to trigger any significant fat burning or to build much muscle, and so you might be tempted to skip it in favor of a weightlifting program or some cardiovascular exercise. But it’s a mistake to write off yoga completely. For while it might not be the most effective tool for body recomposition in the short term, it’s actually probably much closer to what you actually need right now. If you want to feel energetic, healthy and vibrant: then yoga is probably the solution. And when you start feeling better, you’ll likely find that you’re better able to stick to a training program as well leading to the physical changes you want. If you’re still not convinced, then keep reading to discover some convincing reasons that you should be doing yoga. Most people aren’t all that interested in becoming more flexible, so that alone doesn’t offer much incentive for us to start a class that revolves mostly around stretching. Being able to do the splits or touch your toes doesn’t really serve much purpose during our day-to-day activities, so why bother? The answer is simple: you probably aren’t just ‘not flexible’, but are likely to in fact be incredibly stiff. That’s likely, seeing as the vast majority of people are actually very stiff. This is a result of living inactive lives, as well as spending large amounts of time sitting in a hunched up position at a desk. This position is actually particularly bad because it causes our hip extensors to shorten and our flexors to become weaker. The point is: you don’t need yoga to become flexible, you need it to get back to normal. You are currently operating at a sub-par level of flexibility along with serious imbalances which together are likely to lead to back pain, poor mobility and low energy. Do you wake up in the morning feeling achy? Does it hurt when you squat down to pick something up off the floor? That’s because your stiff and you need yoga in order to get yourself back to normal health. When you do, you’ll find that you stop feeling like an old man or woman and go back to feeling spritely, energetic and mobile. If you have any interest in sports, athleticism or physical performance, then yoga should be on your radar. The benefits might be a little more subtle here than they are for something like weightlifting, but nevertheless they can give you the edge over your competition. For starters, flexibility makes you far more agile, while the sense of your body in space (proprioception) will help you to be more dexterous and physically cunning. These things can help you in parkour, martial arts, dancing, football and more. Likewise, being more flexible can increase your progress in the gym (because it lets you increase your range of motion) and studies show that increasing flexibility can lead to immediate strength gains (1). It can also help you to avoid injury from pulled muscles and it can greatly increase your balance – and all these things can help give you a significant advantage over your competitors in almost any physical contest. Yoga is beneficial in ways that you probably wouldn’t expect as well. For instance, yoga has been shown in studies to actually be good for brain power as well. Here it was demonstrated that those practicing yoga would receive a boost in ‘reaction times and creativity’ after a 20 minute session – and that these improvements would be greater than those achieved through other forms of exercise (such as aerobic exercise). 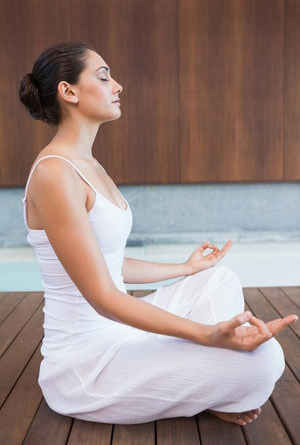 The session specifically involved 20 minutes of yoga postures followed by meditative postures and deep breathing. Following this exercise, participants were better able to focus, process information quickly and hold information in their mind. Likely, this is a result of using exercises aimed specifically at strengthening the mind-body connection, alongside the use of meditation which revolves around calming the mind and increasing focus. Finally, the controlled breathing may aid the flow of oxygen to the brain. As exercise of any kind is also known to boost memory and help us to grow new brain cells, this then provides the ‘perfect storm’ for the brain (2). Add to that the fact that yoga is good for improvement our mood and combating stress (3) and it’s clear that it is a very useful psychological tool. Perhaps the greatest benefit of yoga is how accessible it is. Yoga is a form of exercise that can truly be used by anyone and while even something like jogging can be hard on the joints of the elderly, yoga can be practiced as intensively or as gently as suits the individual. Moreover, yoga can also be learned from home with no need to go to an actual class. While attending a class will lead to faster progress and enhanced benefits, it is possible to see many benefits simply from practicing stretches that you can find relatively easily on YouTube. Likewise, it’s possible to see benefits using only relatively short workouts of a few minutes – something that can’t necessarily be said of other exercise routines. One of the reasons that yoga gets overlooked by many people is its reputation, which is that it’s a little ‘hippyish’ or ‘girly’. Suffice to say that many jocks or strongmen might feel a little self-conscious practicing it. Actually though, at the advanced levels, some forms of yoga are objectively very cool – eventually having much in common with hand balancing, capoeira or breakdancing. Ashtanga yoga at the more advanced levels for instance incorporates moves like handstands, v-sits, forms of plank and more. There’s nothing ‘girly’ about that! What Is the Kipping Pull Up?